● Los Angeles Metro phased out its last diesel buses in January. ● Fort Worth, Texas, fuels its buses with local natural gas. ● Connecticut Transit’s fi ve fuel-cell buses emit only water vapor. ● Santa Monica, Calif.’s natural gas fueling infrastructure allows for revenue generation. ● Southern Nevada’s alt-fuel buses of various types have not encountered major glitches. Transit agencies around the nation are moving more toward alternative fuels as a way to be environmentally friendly to the communities they serve, as well as reap possible cost-saving benefits. 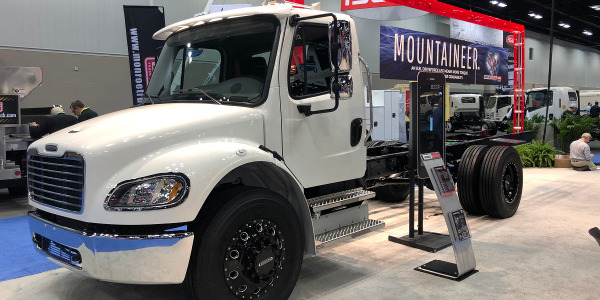 However, agencies gravitating toward alternative fuels are nothing new, with some finding themselves out in front on the so-called “bleeding edge” of many of these fuels since the early 1990s. 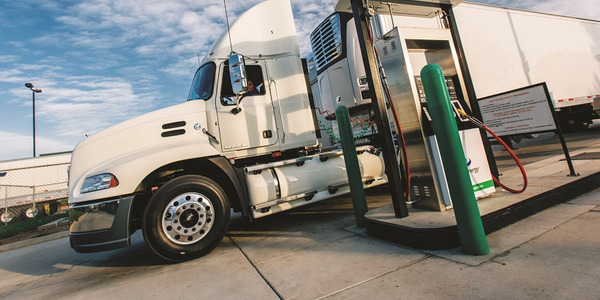 Those ­early-adopting agencies will say now, though, that alternative fuels have finally matured, making investment in the technologies less challenging. Various transit agencies currently using alternative fuels in their bus fleets — ranging from natural gas to hydrogen to hybrids — discuss their programs and experiences when making the green-friendly leap away from traditional diesel fuel. LA Metro began focusing on cleaning up its bus fleet in the 1980s and now operates an entirely alternative-fuel fleet. 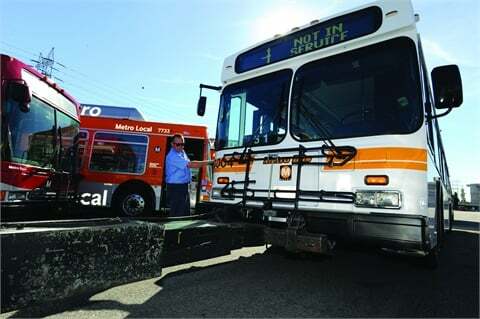 The Los Angeles County Metropolitan Transportation Authority (Metro), operates a fleet of 2,228 buses that run on compressed natural gas (CNG), electric, and ­gasoline-electric. In January, Metro retired the last of its diesel buses and became the “first major transit agency in the world to operate only alternative clean-fueled buses,” the majority of which are CNG, according to the agency. With smog in the Los Angeles basin a huge issue and the agency growing more aware of its obligation to not contribute more air pollution in the areas it serves, Metro began focusing on cleaning up its bus fleet in the 1980s. The agency began using methanol buses in the early ’90s, which in the long run proved to be too corrosive for bus engines. After also experimenting with ethanol and propane, Metro eventually decided to go with CNG. Also, when getting rid of its diesels, Leahy said Metro permanently disabled the engines so nobody could buy the buses and continue to use them to pollute the area. Leahy, who credits the Federal Transit Administration (FTA) for making Metro’s clean-air bus fleet possible with CNG credits and other support, added that the buses have performed very well without any degradation in performance compared to diesel buses. He also said that while the cost for the buses is more expensive, Metro pays less for fuel and is proud of its contribution toward Los Angeles’ cleaner air. The road to Metro’s success wasn’t easy, however, since at the beginning of its program, CNG use was in its early stages. Metro’s clean-air bus fleet is just one aspect of its green program, which also includes widespread use of solar panels at bus maintenance facilities and other ­energy-saving devices to cut energy costs; recycling; and building and retrofitting new transit facilities with sustainable materials and practices. Leahy advised any agency looking into making the switch to alternative fuels, CNG in particular, to reach out to an agency such as Metro and pay a visit to learn from its experiences. Fort Worth, Texas’ “The T” phased out its older buses with natural gas, retiring the last diesel bus in 2000. Like Metro, Fort Worth Transportation Authority’s (The T) move toward alternative fuels began in the ’80s, when the Texas State Legislature and Department of Transportation started encouraging local transit systems to look at alternative fuels, including natural gas. The T’s move toward CNG took a natural progression, with the authority gradually replacing older buses reaching retirement age. The whole process took most of the ’90s, with the agency retiring its last diesel bus around 2000. The agency now operates 180 buses on CNG. Like Leahy, Ruddell explained that The T’s learning curve in the beginning was huge, since the range of CNG-powered buses was very short at the time and there were still issues with how to set up fueling compressors. “Those two issues probably are the reason why a lot of systems back in the ’90s tried natural gas, then gave up on it,” he said. Now, after figuring out the learning curve, The T has an advanced and well-developed compressor station with four compressors operating at all times and an extra available in case one is down for maintenance. With the technology maturing, CNG buses have a comparable range to their diesel predecessors, Ruddell explained. He also added that getting his maintenance staff up to speed through training provides a knowledgeable source that is always on hand should issues arise. 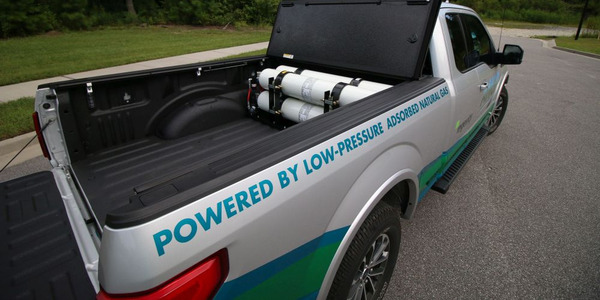 Besides lowering its environmental footprint due to the lower emissions, Ruddell said the Authority has experienced some additional benefits through the use of CNG. While the authority is committed to CNG down the road and has made infrastructure investments such as the fueling stations, Ruddell said The T is not so committed that it won’t look at other alternative fuels. “I think other and better fuels will come along, so we very much are interested in new alternative fuels as they are developed and tried,” he said. For agencies interested in exploring alternative fuels such as CNG, Ruddell advised that they go out to visit authorities such as The T so that they understand how the fuels work, the benefits, and the financial investment it takes to build the infrastructure to support usage. 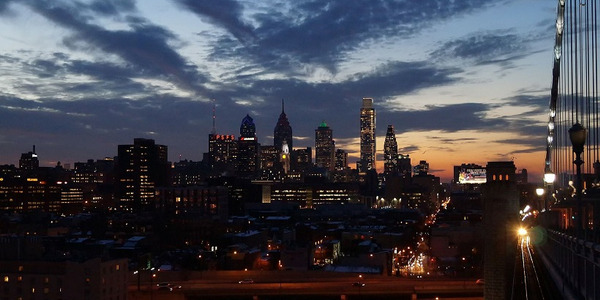 For those looking into natural gas, he also encouraged joining the Transit Natural Gas Coalition, where those interested can learn more from both users and suppliers. 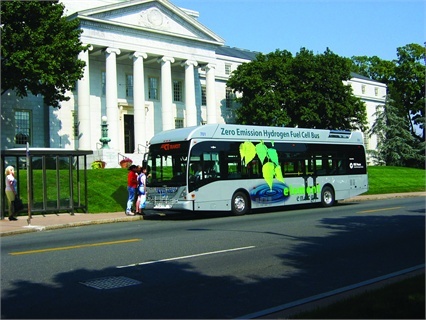 Connecticut Transit (CTTransit) acquired four of five hydrogen buses with federal grants. Connecticut Transit (CTTransit) in Hartford first started researching the use of alternative fuels in the early 1990s as a way to help promote good vehicle emissions in the communities where the agency operates. In 2001, CTTransit contracted with the Connecticut Academy of Science and Engineering to do an analysis of different bus technologies to discover what would work best for its applications. This led to the use of several different alternatives, including biodiesel — the agency currently uses a 5-percent mix — ultra low sulfur diesel, and diesel particulate filters (DPF). Perhaps CTTransit’s biggest alternative-fuel initiative, though, began in 2007, with the operation a 40-foot Van Hool equipped with a UTC Power hydrogen fuel cell. Since then, the agency has added four more hydrogen buses and plans to add a sixth in the next year or so. It currently operates 408 buses running on B-5 biodiesel, hydrogen, and diesel-electric hybrid engines. Fuel-cell buses run on hydrogen and produce no harmful tailpipe emissions, emitting only water vapor. The new buses, part of the FTA’s national Fuel Cell Bus Program, establish Hartford as a leader in adopting fuel-cell technology to power transit buses. Only Greater Oakland/San Francisco has a larger fuel-cell bus fleet in the U.S., according to the agency. Key changes to the newer hydrogen-­powered buses include a more advanced lithium-ion battery system and a more durable fuel-cell power plant. The new model 40-foot Van Hool transit buses are also lighter than the earlier generation fuel-cell bus, which continues to operate on various routes in Greater Hartford. Newer lithium-ion batteries have improved bus reliability, Warren said. CTTransit had to make several modifications to its existing garage to store the hydrogen vehicles, such as moving duct work so a small amount of air was always blowing on the buses and installing hydrogen detectors. The hydrogen fuel-cell buses are switched to an all-electric mode when inside the garage, significantly lowering the possibility of hydrogen leaks. The agency is currently building a new garage to store its fuel-cell buses. It also plans to install a hydrogen fueling station on-site that will use a green electrolyzing process, with some of its buses continuing to refuel at a hydrogen station at UTC Power’s headquarters in South Windsor, Conn.
After surveying both its drivers and customers, CTTransit found that drivers love the acceleration of the bus and passengers enjoyed the quiet, smooth, and vibration-free ride. Both, however, rated the buses’ lack of emissions and environmental impact or, lack thereof, as the aspects they liked best. The buses have also become stars in the community. 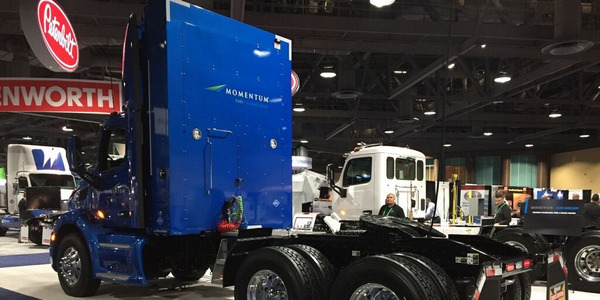 Since most of the alternative fuels on the market have been well tested, Warren added that having a dedicated project manager who understands there will be ups and downs is very important when instituting a program at an agency. Big Blue Bus’ switch to alternative fuels began with Santa Monica’s sustainable cities program. The City of Santa Monica (Calif.) Big Blue Bus’ move toward alternative fuels came as part of the City Council’s adoption of a sustainable cities program that identified 10 different areas of focus, including public transportation. The program was so ahead of its time that the United Nations is now using it as a model for other cities around the world. “Really, the City’s direction to move toward alternative fuels actually drove our decision even before the State mandated that we choose either clean diesel or an alternative­-fuel path,” explained Stephanie Negriff, Big Blue’s director of transit services. 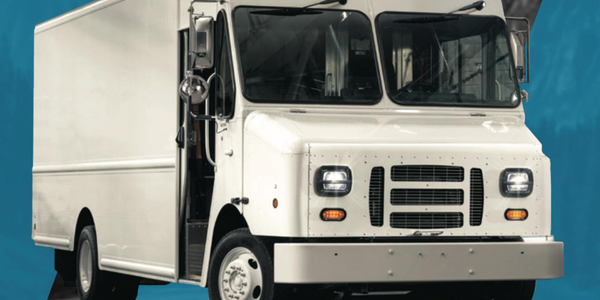 In 2002, Big Blue started its alternative-­fuel program with liquefied natural gas (LNG) buses from North American Bus Industries (NABI). Before that, though, the agency had to install a fueling station on-site, which it started work on the previous year. 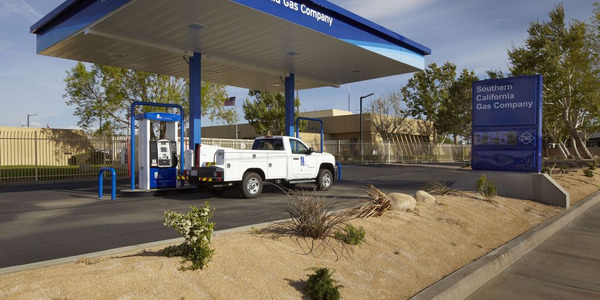 Ralph Merced, Big Blue’s maintenance manager, added that the fueling station was also constructed in a manner that it could dispense both LNG and CNG. The agency is currently phasing out its diesel vehicles and replacing them with alternative-fuel vehicles, expected to be about 75 percent complete by the end of this calendar year. 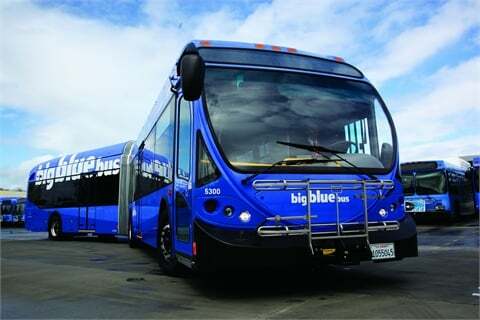 To help Big Blue reach the 75-percent goal, it awarded a multi-year contract to NABI and issued a Notice to Proceed (NTP) for the purchase of nine 40-foot low-floor CNG buses, with options to purchase an additional 58 buses over a five-year contract period, in July 2010. In September 2010, it exercised an option and issued an NTP with NABI for five 60-BRT CNG articulated vehicles in addition to the 11 previously on order. All 16 BRT vehicles were scheduled to be delivered by mid-2011. 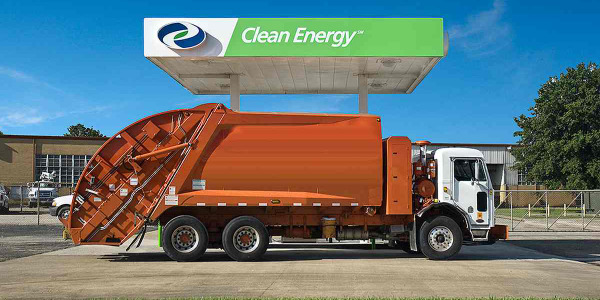 “If we exercise all the options we have with NABI, we should be running an all-­alternative-fuel fleet by 2014,” Negriff said. Negriff added that the City’s move toward alternative fuels sends a strong message to the community that it values sustainability. “We have a lot of loyal transit users, but to really advance use of public transportation and attract and gain new riders, identifying ourselves as a transit system that is out in front in the areas of clean air and environmental policy really helps show that we are walking the walk,” Negriff said. Aside from cleaner emissions, Big Blue Bus is spending significantly less on fuel in part thanks to a 50-cent-per-gallon federal fuel tax credit, which results in an approximate $1.5 million annual savings. The Big Blue Bus’ transit fleet consists of 218 buses that operate on LNG, gas-electric hybrids, and biodiesel. RTC of Southern Nevada uses several different alternative fuels, depending on the service the vehicle is used for. 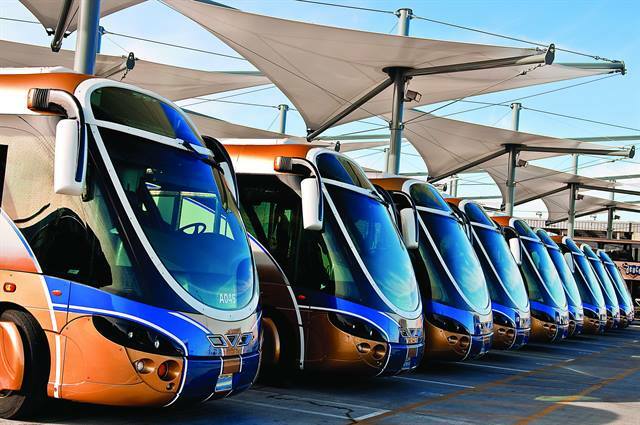 The Regional Transportation Commission of Southern Nevada (RTC), headquartered in Las Vegas, operates 423 buses that run on fuels including biodiesel, diesel-­electric hybrids, CNG, and flex-fuels. Beginning in 2001, the RTC’s board began focusing on sustainability and air quality by concentrating on both alternative fuels and fuel economy. 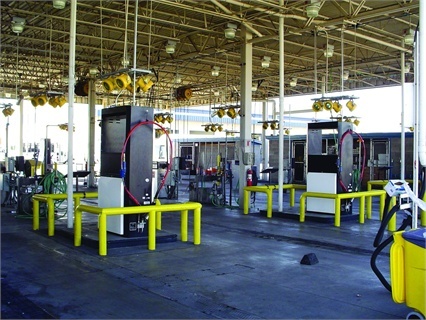 The agency kicked off its jump to alternative fuels in 2001 with the purchase of seven CNG buses. “They performed better than expected, so from there we added an additional 45 CNG vehicles to our fixed-route fleet,” said Sandy Stanko, RTC’s director of transit services, who added that the agency focuses its purchasing decisions on determining which type of vehicle best fits the operating conditions. That focus led to the purchase of 130 double-decker coaches running on B-5 biodiesel because it accommodated more passengers, thus providing a savings in fuel costs. The agency also chose to run hybrid diesel-electric vehicles with both ISE Corp. and Allison propulsion systems, including its Wright Group Streetcar RTV vehicles, for its BRT routes because the hybrid propulsion systems, with their regenerative braking, were ideal for the application. Rudy Long, vehicle maintenance coordinator at the RTC, said the use of all these different types of alternative propulsion systems has gone off with only minor hitches. Stanko added that another small challenge during any alternative-fuel rollout has been keeping drivers up to speed through driver training. “We want make sure that we are all working together to achieve maximum fuel economy, so we focused on things such as idling, braking, and making sure the drivers understood the differences between hybrid and diesel vehicles,” Stanko said. Stanko and Long reported that the RTC is experiencing increased fuel mileage from both its hybrid and CNG vehicles. 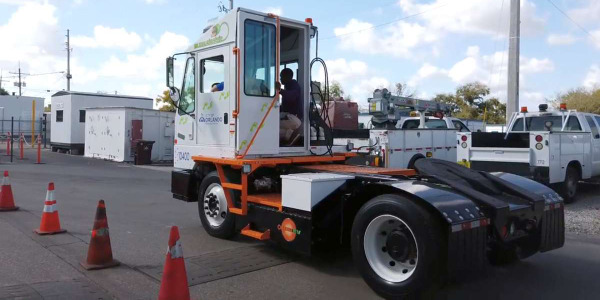 The agency also plans on expanding its alternative-­fuel program by introducing New Flyer ­gasoline-electric hybrids by the end of this year, using ARRA funds; however, Stanko added that which alternative fuel it plans on using down the road is still unclear. Long said knowing what you’re trying to achieve with the vehicle purchase is key, stressing that agencies must first determine for what type of application the vehicles will be used. Since September 2010, Proterra’s EcoRide BE35 fast-charge battery-electric transit buses have been in service at West Covina, Calif.-based Foothill Transit, as part of the agency’s goal of establishing a full fleet of clean-fuel vehicles some time this year. Hill added that as the development of the bus took place, Proterra was able to also develop the TerraVolt energy storage system, which can be charged in less than 10 minutes with its proprietary fast-charge stations. Proterra’s ProDrive system is powered by a single UQM PowerPhase 150 permanent magnet (PM) motor, which is rated at 150 kW peak power — 100 kW continuous — and generates 650 Nm of torque. The drive motor is coupled to a newly designed Borg Warner three-speed eGearDrive transmission designed to meet heavy-duty transit requirements. Meanwhile, the BE35’s proprietary composite body reduces weight approximately 20 percent to 40 percent over a conventional steel or aluminum bus, is crash and element resistant, and designed specifically to accommodate the battery-electric drive technology. Because it took a while for Foothill Transit to finish civil work on the installation of the fast-charge stations, the agency just recently began running one of its three buses in full-day operation. The route is approximately 16 miles end-to-end with a commuter rail stop at the midway point, so the buses are charged every 8.2 miles, Hill explained. After only two months, Foothill Transit accumulated several thousand miles of data indicating that the EcoRide will exceed its claims of achieving a 500 percent improvement in miles per gallon — diesel equivalent — fuel economy performance over conventional diesel buses. When the BE35’s were Altoona-tested, the vehicles got the equivalent of anywhere from 17 to 29 miles per gallon, which could potentially provide a huge savings in the cost of fuel, according to Hill. Currently, Proterra is assembling its BE35 buses and Fast-Fill charging stations at its Phase 1 manufacturing facility in Greenville, S.C., and is working aggressively with local support to break ground on its larger state-of-the-art Phase 2 plant located on Clemson University’s International Center for Automotive Research campus in the spring of 2011. Alex Roman is managing editor of Metro Magazine, serving the bus and rail transit and motorcoach operations industry.